Adrian Garth born and bred in the Northside of Brisbane, brings over 15 years of local business ownership experience to Harcourts, specialising in sales, marketing and negotiation. Over the years Adrian has been very active in real estate via the way of buying & selling land, townhouses and houses on a personal level all in the North Brisbane region. Through business experience Adrian realises it is paramount to understand peoples requirements and needs first, then just as importantly executing plans to achieve desired results for his clients. His driven passion to succeed combined with his easy going relaxed sense of style and demeanour is evident on first meeting. Constant business travels globally sees Adrian converse comfortably with people from all walks of life and continually welcomes the opportunity to meet new people on a daily basis. In Adrian's spare time he loves nothing more than spending time with his wife and young family at home in Bridgeman Downs. He also likes to think of himself as a weekend BBQ master! Satu originally from Finland and a seasoned world traveller has now chosen Australia and in particular Brisbane as her place of residence. With an extensive experience base in customer service along with her vibrant personality, Satu is a natural when it comes to communication and follow up service. This is evident upon meeting Satu at open home inspections. Living in the Northside of Brisbane Satu stays in tune with what is going on in the local area. 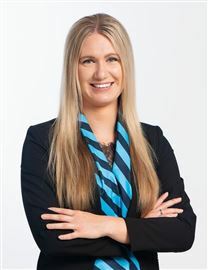 You will find Satu out in the streets welcoming the opportunity to meet with people almost every day and loves nothing more than helping residents with their decisions on potentially selling and moving forward to their new chapters in life. 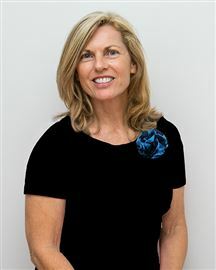 As sales associate to Adrian Garth, Satu and Adrian take pride in offering constant up to date real estate knowledge in the areas of North Brisbane and providing a personal touch with a caring attitude to selling real estate. Together as a team their philosophy is simple - “Provide an exemplary service to their clients”. In Satu’s downtime she enjoys keeping active in the gym and heading to the beach when possible. She also loves socialising and trying new restaurants with friends. Satu loves the new renovation at Westfield Chermside and can be seen quite frequently there shopping up a storm. Walk to shops and schools! Empty nesters ready to move! Investor or first home buyer! Wavell Wow + Low Body Corps!